Hydrogel dressings are designed to manage fluid exchange on the surface of the wound. They consists of 90% water suspended in a gel base. The water content in the wound gel dressing provides moisture to the wound and helps in faster wound healing. The tissues of the wound debride, granulate and then heal completely. 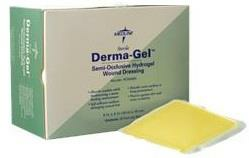 Hydrogel wound dressings are said to be a perfect source which provides moisture to a dry lesion. Here is a quick guide that will help you know how hydrogel dressing works, what are their types, their features, when should you use them or abstain from using them. Hydrogel dressings usually works as a primary dressing and can also be used to fill in the deeper sections of the wound for faster healing. They needs a secondary dressing to cover them for better securement and prevent them from getting dehydrated, which is often the case when they are not covered properly. Hydrogel dressing are made up of hydrophilic polymers arranged in the three-dimensional networks. The polymers act as absorbents and help in absorbing wound exudate effectively. This wound gel dressing provides moisture to the wound and helps in creating a moist healing environment that cools down the wound and provides pain relief for up to six hours. It protects the wound from infections and promotes efficient healing. It is often painless to remove the hydrogel dressing because its high water content does not let it adhere to the wound surface. Amorphous Hydrogel: It is a free-flowing gel that comes in tubes, bottles and packets. Amorphous gel is viscous and can easily fill up the deep and uneven wounds. It needs to be covered with a secondary dressing to hold the gel in place to promote faster healing. Impregnated Hydrogel: It comprises of a gauze pad, gauze strip, or sponge rope impregnated with the gel compound. Hydrogel impregnated gauze needs to be covered by a secondary dressing to provide protection to the entire wound surface. It can be simply put over the wound surface or packed into a deep wound as per the user requirements. Sheet Hydrogel: It is made by adding gel compound to a thin fiber mesh. The suspended hydrogel overlaps the wound and helps it in healing faster. 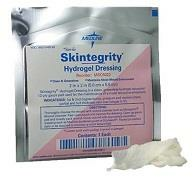 Sheet hydrogel dressing comes in a variety of sizes and can also be cut to fit the unique shape of the wound. When is Hydrogel Dressing Used?